At BASI, we pride ourselves on making every installation as straightforward and fuss-free as possible. It’s why our customers rate us 5 stars on Trustpilot. 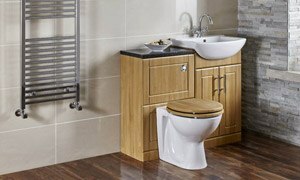 Simply put, we’re a team of bathroom suppliers and fitters who go above and beyond. 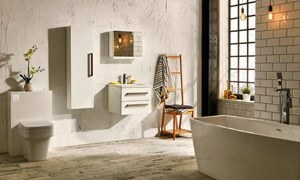 Our aim is to provide you with your dream bathroom, at minimal hassle and cost to you. We are committed to providing the very best customer service experience throughout the installation process. A friendly customer service adviser will arrange an appointment at a time that’s convenient to you and one of our experienced bathroom advisers will come to visit you in your own home. We’ll confirm the appointment via text message so you know exactly who to expect and when. An expert bathroom adviser will visit your home to find out what you’d like to achieve. They’ll also carry out a detailed assessment of your current bathroom and take the necessary measurements. Your adviser will listen to your ideas and ask you about your design preferences. Armed with this information, they’ll discuss your options and leave with you with recommendations from our bathroom brochure to choose from. After speaking with you to find out your choices, your bathroom designer will send you 3D images to show you exactly how your new bathroom will look – all from the comfort of your own home. We’ll make sure you’re happy with the designs and provide a detailed quotation, highlighting the items that need to be installed and the work that will be carried out. Your bathroom adviser will talk you through your fixed price quotation and explain how you can pay. Half the cost will be due halfway through and the remaining half a week after installation. Once we’ve agreed the cost, we’ll arrange an installation date. On the day of your installation, your local bathroom fitters will call to say they’re on the way before arriving in a recognisable BASI uniform, ID badge in hand. Our bathroom installers pride themselves on working in a courteous and tidy manner, so expect minimal disruption and no mess to be left behind. Following your installation, you’ll receive a call from customer services to make sure you’re completely happy with your new bathroom, and to explain our guarantees. Rest assured, your new bathroom will come with a 25-year manufacturer’s warranty plus, a two-year workmanship warranty. And BASI are here 365 days of the year should you need us! Take a look at our gallery of some recent projects we’ve completed for our customers at BASI, combining their choices with our 25 years of experience to create dream bathrooms for a wide array of homes. Do you have any questions about the installation process? Would you like to speak with an advisor about starting your project? Or maybe you’d like to request a quote? Get in touch with our friendly team today.